I should have been in Northumberland this weekend with Annie visiting my brother-in-law Alan and family near Hexham. Despite the snow and road conditions, we got to Gatwick in good time for our flight to Newcastle on Friday, which was due to take off at 4.20pm - except it had been cancelled by the time we got there. We were re-booked on to a later flight at 8.05pm, but by 10.30pm we were still in the departure lounge, none the wiser as to whether this Flybe flight was ever going to get off the ground. Having been stuck in the airport for eight hours with no information available on the boards - it was a complete shambles - we decided to abort our trip and go home, eventually walking back through the door around midnight. The flight did get to Newcastle eventually that night - at 2.00am. 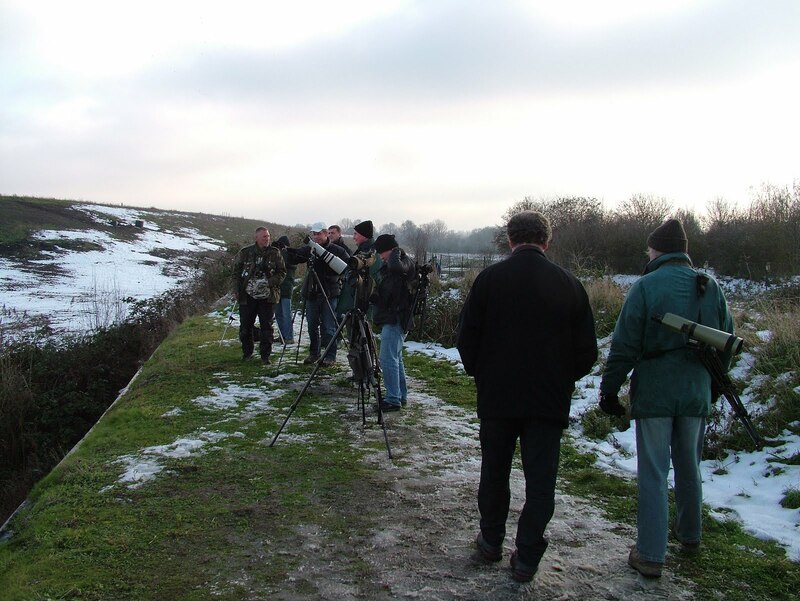 The following morning I went back to Gatwick to pick up our suitcase, but not before dipping Waxwings for the ninth time at Teddington, where 19 had been seen at lunchtime near the police station. 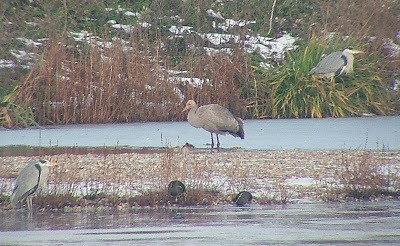 Now we were back home, I had hoped to go to Bookham Common to find the two Hawfinches that are there at the moment, and had loosely arranged to meet up with Rich Sergeant and Rich Horton first thing on this morning. Our friends who live in the next road, who were looking after our two Burmese cats while we were supposed to be away, invited us round for dinner yesterday evening, and we happily accepted. A few bottles of Pinot Grigio and Gruner Veltliner later, I wasn't going anywhere by the time the sun rose this morning. My hangover and mood were lifted, however, by a text from Johnny Allan. 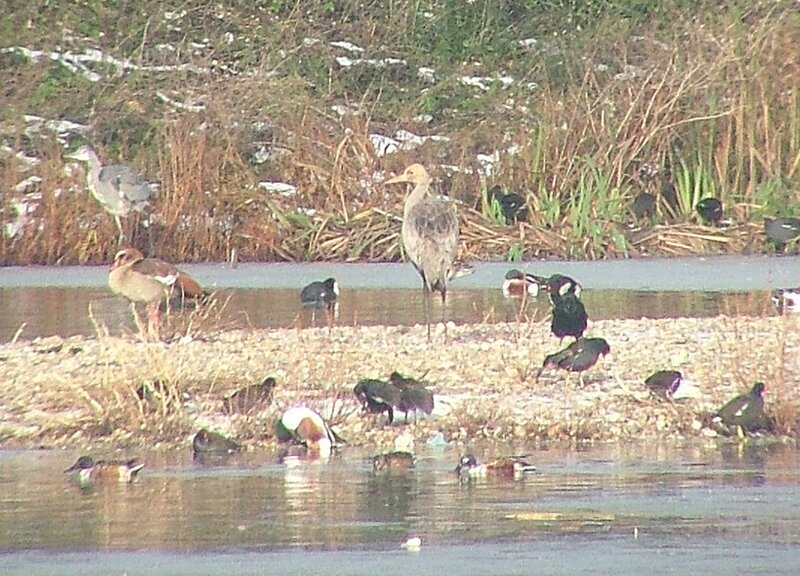 A unringed juvenile Common Crane had landed on the lake at Beddington at about 11 o'clock. 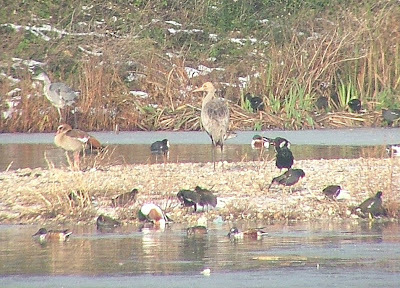 Two hours later I was looking at my first Common Crane (161) amongst a throng of Surrey and London's birding glitterati. 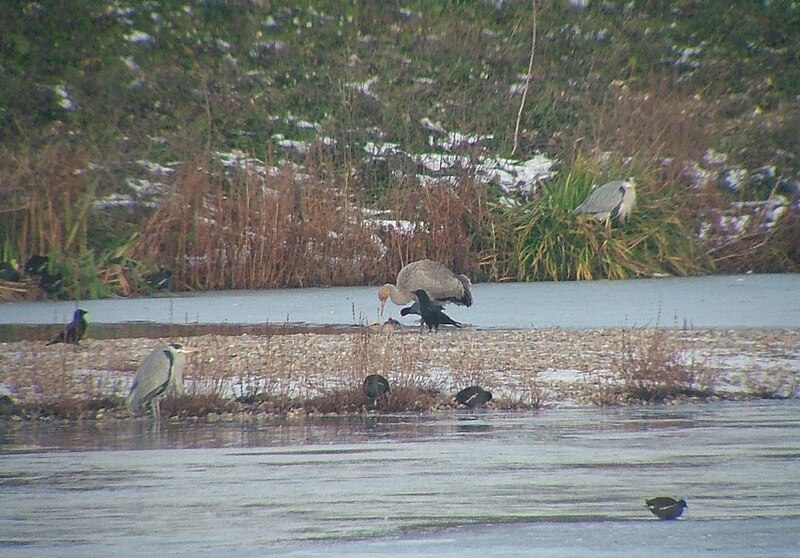 It was the second Crane to be seen at Beddington this year, but the first to actually land. 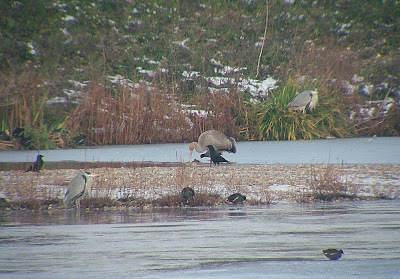 It looked as if it was going to stay for a while, although the Gulls at the landfill tomorrow might force it to move on. 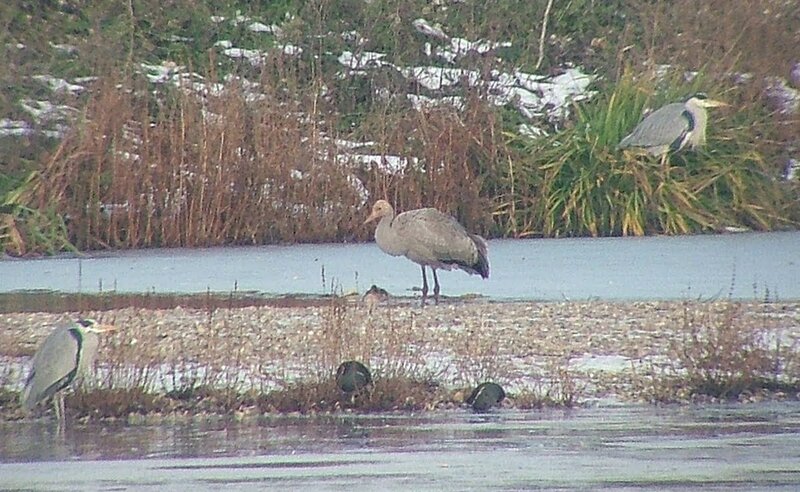 A cracking bird, and totally unexpected. Later, Kojak texted me to let me know of two Waxwings on the Surrey University Campus at Guildford. I might head off there first thing. Great stuff, Neil. A damned good Surrey tick.